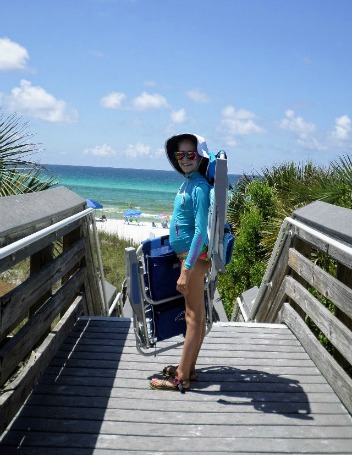 A Grayton Beach vacation needs to be on the top of your list for favorite family beach vacation spots. See the miles of beautiful white sandy beaches and the calm waves? 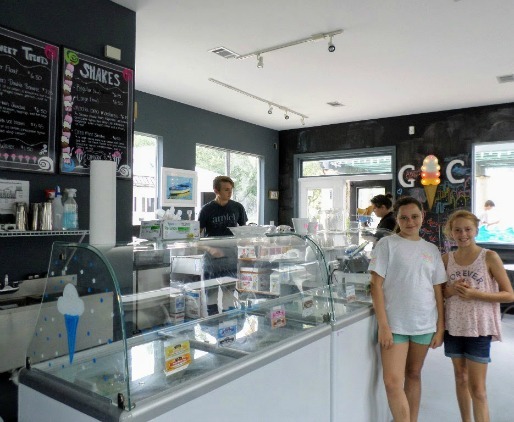 Well, the waves aren't always calm, but that's what makes this beach perfect for families. Our first couple of days of vacation we had blue skies, small waves and a light breeze. Playing and swimming in the ocean entertained and kept us cool. When a huge storm came in, so did the double red flags which meant no one could go into the ocean. Not so much as your toe. 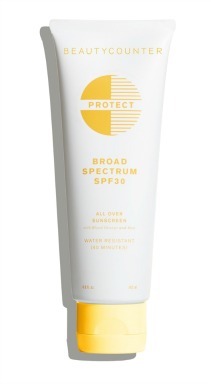 This is what was the game changer for our Grayton Beach Vacation. 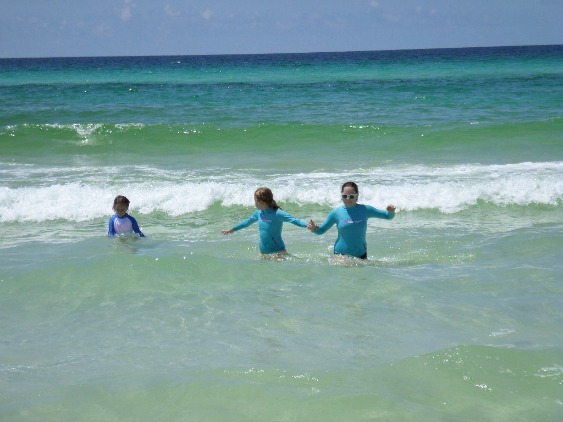 While we couldn't go in the ocean, we could safely swim and play in a large bay and outlet. 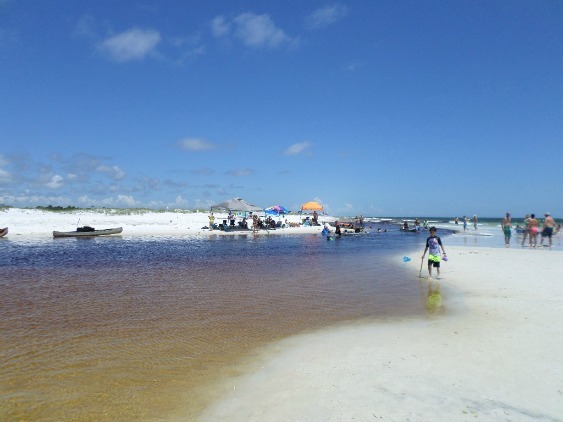 Families gathered there, kids played in the water and sand, and adults floated down the channel. Find out up to date beach safety flag notifications as well as watch their live Ed Walline cam. 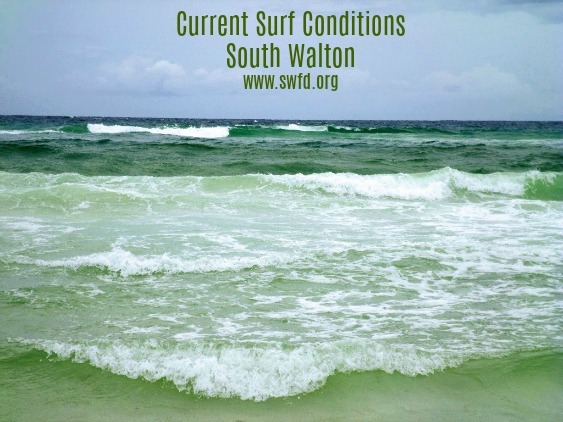 You can also text "Beach" to 67463 to receive current notifcations of surf conditions. 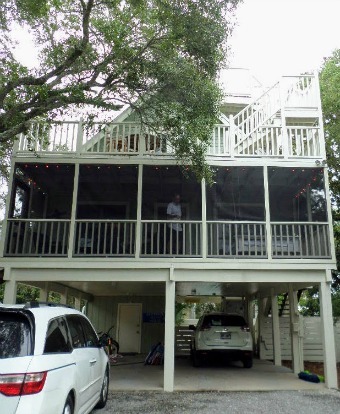 Grayton Beach vacation house rentals help to make the most of your stay. We rented the McDonald House just blocks away from the beach. You can walk or ride bikes to the beach entrance and from our rental house, there were no busy roads to cross. The McDonald House has 4 bedrooms and two bathrooms. The parking and storage area is under the house and the first floor has a large screened in porch, kitchen, living room, two bedrooms and one bathroom. The upstairs has two more bedrooms and one bathroom. From the master bedroom you can climb the steps to the third floor look out to see the ocean. 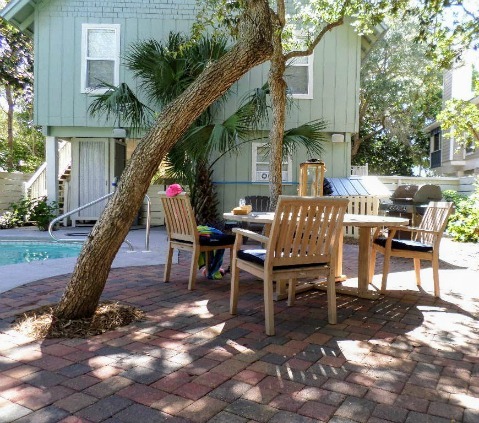 The bonus feature was the shaded backyard with an inground swimming pool to cool off after a hot afternoon at the beach and patio furniture for relaxing. One day of our beach vacation it rained all day. 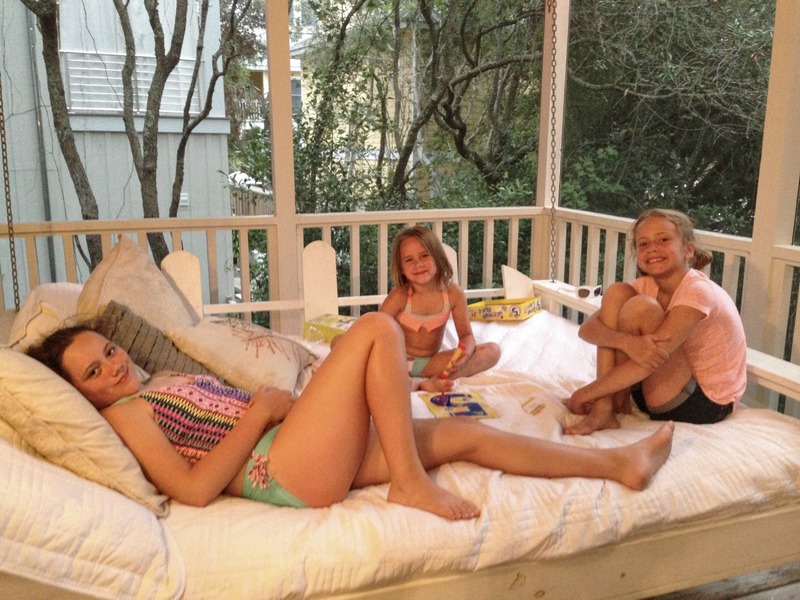 Thankfully the screened in porch was a great place to hang out and play games - especially on the comfy swinging bed. 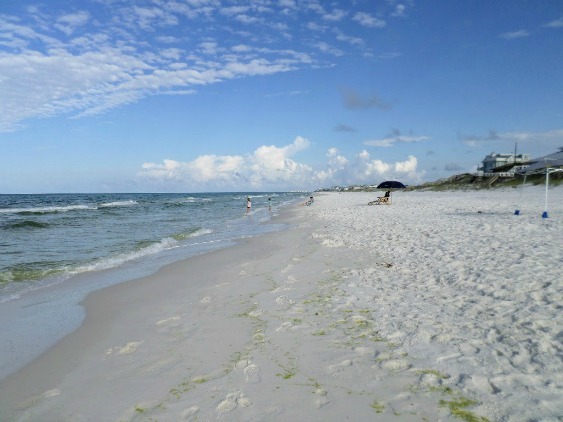 Beach vacation house rentals are available through HomeAway. 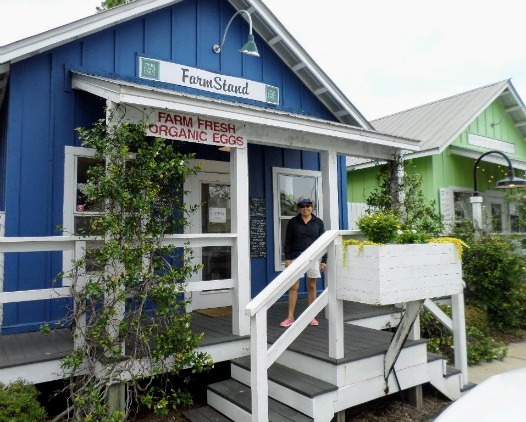 From ice cream cones to farm fresh eggs, there is a variety of small shops and places to eat around Grayton Beach. 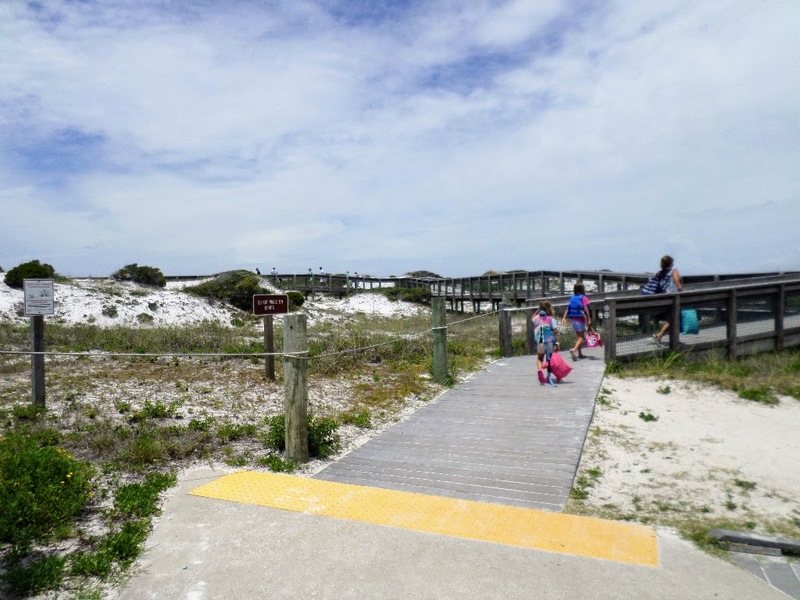 Grayton Beach State Park is right on 30A and just west of Watercolor, Florida. You can get there by bike or by car. 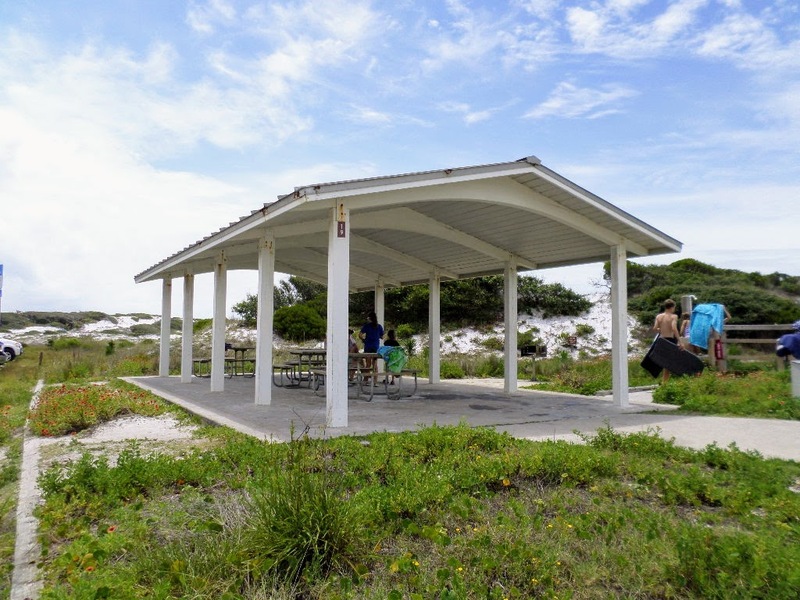 You will find plenty of parking, a covered pavilion, showers and bathrooms, and a nice boardwalk that takes you right out to beautiful Grayton Beach. All rights reserved. This DMCA site is protected under U.S. and International copyright laws. Do Not Copy any Content or Images. No use is permitted without written permission. 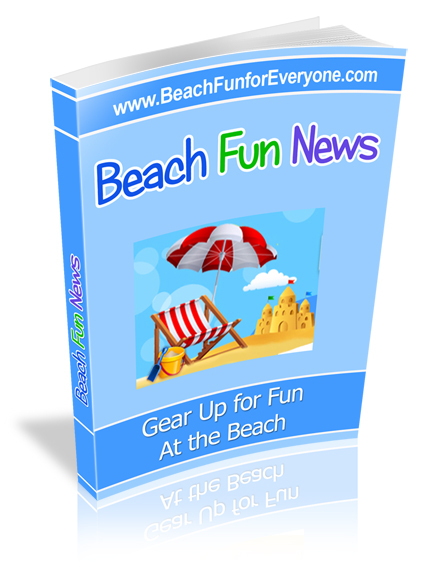 I promise to use it only to send you Beach Fun Newsletter.